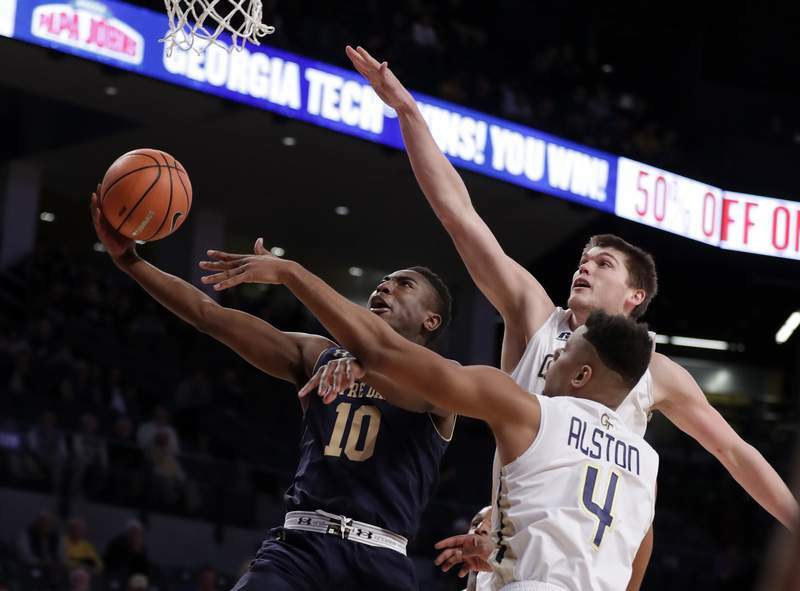 ATLANTA — Josh Okogie scored 17 points and Notre Dame snapped Notre Dame's five-game winning streak, beating the Fighting Irish 60-53 Wednesday night in the Atlantic Coast Conference. 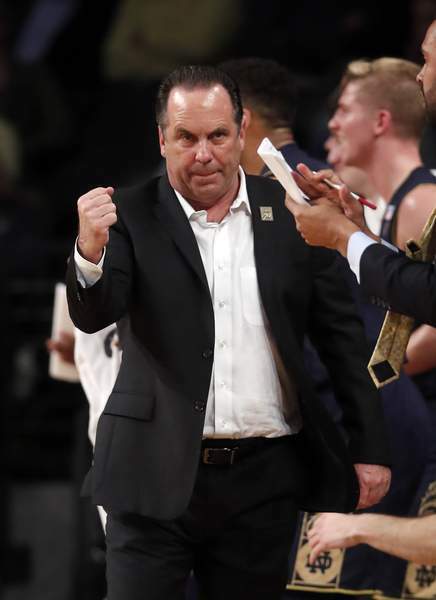 The Yellow Jackets (9-7, 2-1) pushed out to a 10-point halftime lead and held off depleted Notre Dame (13-4, 3-1) the rest of the way for their second straight conference victory. 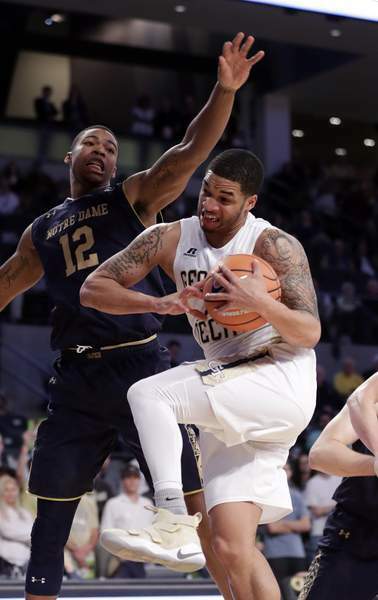 The Irish were missing two of their top players, preseason All-America selection Bonzie Colson and Matt Farrell. 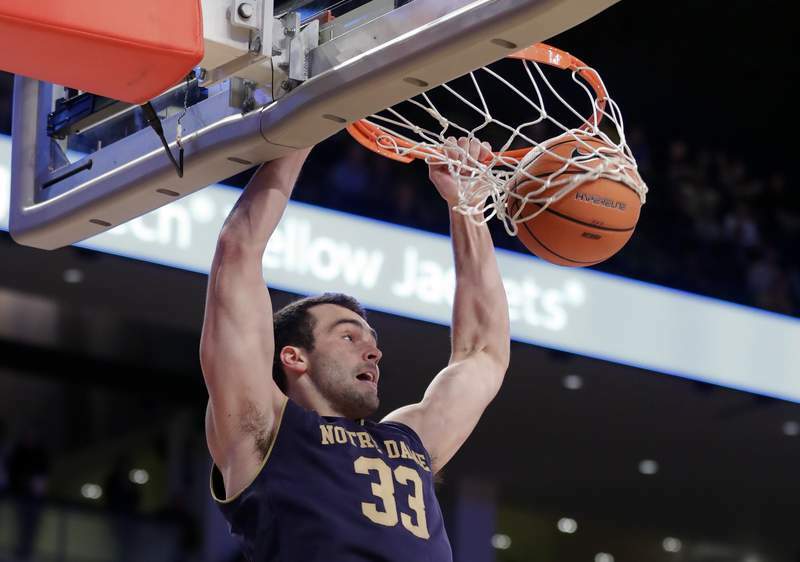 Notre Dame's final points came on John Mooney's dunk with 3:20 remaining. The Irish missed their final five shots, mirroring their struggles at the end of the first half. 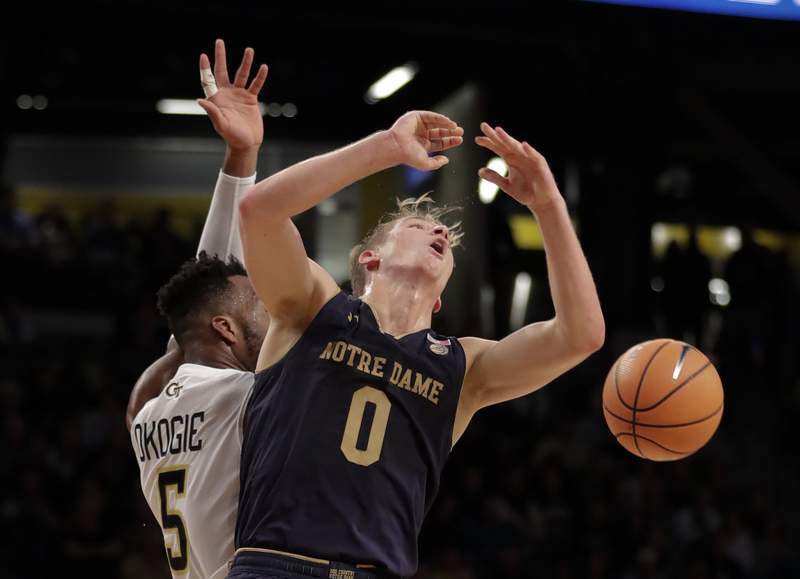 Notre Dame led 18-17 after Martinas Geben's dunk with nearly nine minutes remaining in the opening period. They managed only two free throws the rest of the half. Notre Dame's only lead of the second half, 38-37, came on Geben's layup with 11:59 to go. 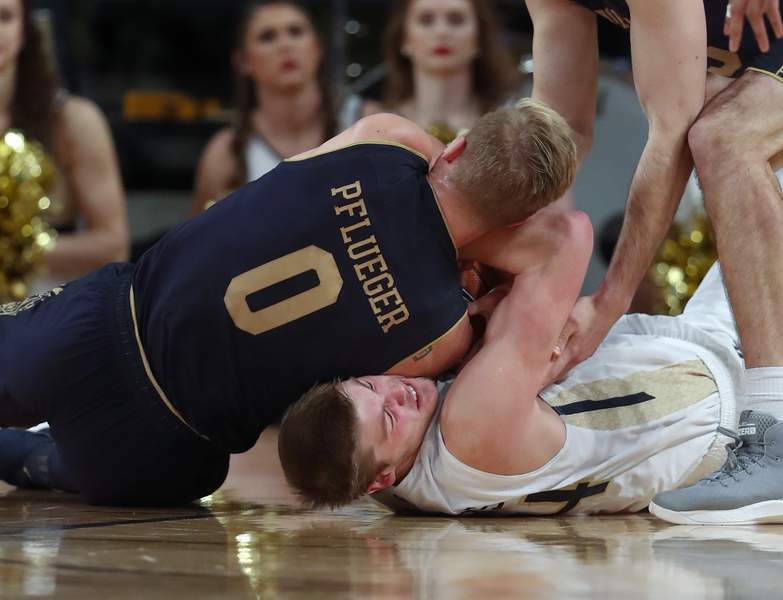 Ben Lammers responded with a tip-in that put Georgia Tech ahead to stay. Notre Dame: The Fighting Irish have shown plenty of grit without Colson and Farrell, but they couldn't pull off another win. 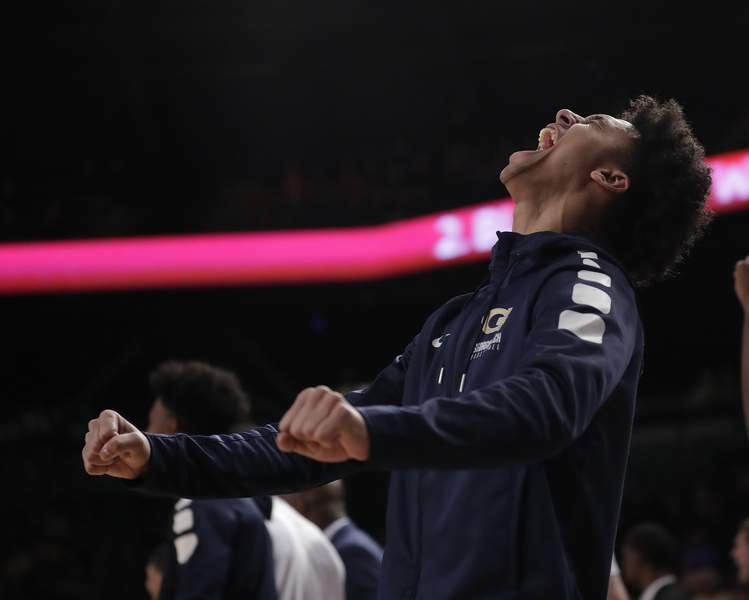 They were on cusp of cracking The Associated Press Top 25, missing out by only one spot in the latest poll, but this loss might keep them out for at least another week. 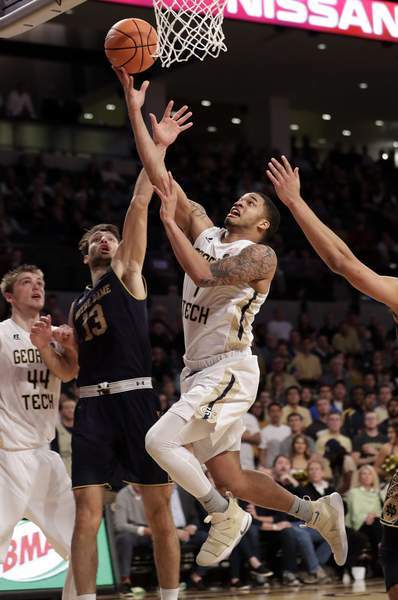 Georgia Tech: After a discouraging start to the season, including losses to Grambling State, Wofford and Wright State, the Yellow Jackets appear to be recapturing the form they showed last year on the way to the NIT title game. 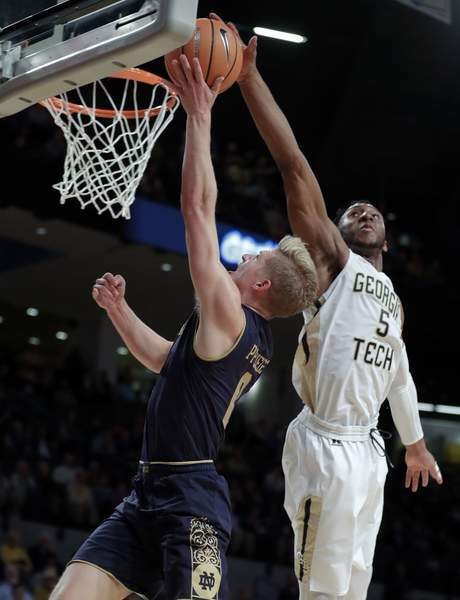 They've won two straight ACC games at McCamish Pavilion, showing an ability to at least protect their home court.